The 2015 Marsannay les Longeroies has a tempting bouquet with inviting mulberry, red plum and crushed strawberry aromas that have great intensity and volume, floral hints emerging later. You could lose yourself in these aromas. The palate is smooth and caressing on the entry. There is plenty of red cherry, raspberry and blackcurrant notes, touches of spice upon the well-defined and quite "pert" finish. This is a lovely Marsannay from one of its finest vineyards. 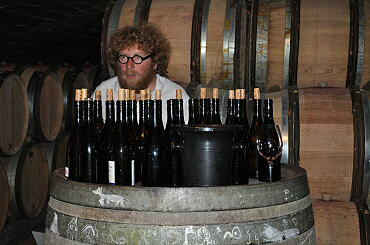 The Marsannay les Grasses Tetes, comes from degenerated 50-year-old vines and contains 100% whole bunch fruit. It is more backward than the Marsannay les Longeroies and the fruit veers more towards black than red, with subtle woodland and mulch-like scents just "simmering" underneath. The palate is gentle and rounded on the entry. There is great depth here, wonderful balance and impressive structure towards the masculine, tobacco-tinged finish. 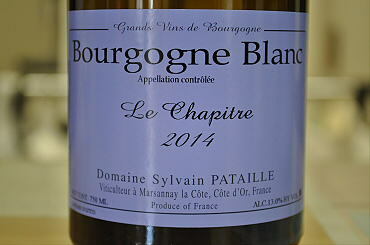 This might be the standout wine from Sylvain Pataille this year. The 2015 Marsannay Clos du Roy was quite closed when I tasted it, a mixture of red and black fruit, iodine and crushed violets. The palate is very bright and beautifully defined, the oak neatly enmeshed with superb acidity. This becomes more and more precise as it goes on. It is equipped with a tensile finish that offers plenty of black, quite spicy fruit. By this time, the aromatics gain their composure and ever more clarity. Give this 2-3 years in bottle and you will have an exemplary Marsannay. 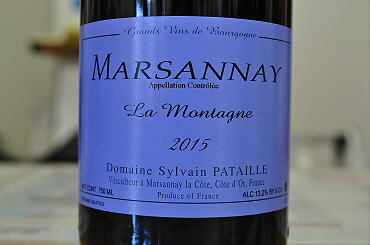 The 2015 Marsannay L'Ancestrale has a voluminous bouquet with layer upon layer of blackberry, mulberry, hoisin and pastille-like aromas, just a hint of peppermint emerging with aeration and later a hint of fresh fig that lends a touch of exoticism. The palate is medium-bodied with supple tannin, fine acidity, very well balanced with great depth and vigor on the finish that seems...effortless.